With more and more consumers visiting websites on their mobile phones and tablets, businesses are having to update their websites for responsible web design. Because most people don’t sit at their desktop or laptop computers to surf the web anymore, websites have had to undergo some changes so that the content is readable on a mobile device or tablet. This is why the majority of the online businesses here in the Myrtle Beach area, are working to develop their website with responsive web design. A website on the internet can become responsive to mobile devices because of the coding that has gone on behind the scenes. Responsive web design essentially means that websites have the ability to change size and design layout based on which device a website is being viewed. A programmer has to code a different set of instructions to view the website on a mobile device, and a different site of instructions for viewing the website on a desktop, tablet or laptop. Because your website will be able to be viewed across all mobile and desktop devices, it will be able to be viewed as it was intended: anytime, anywhere. Working with the proper frameworks, we’ll ensure your content and pictures are balanced and present fluidly on a device screen. Conversation rates go down when customers have to navigate a non-responsive webpage on a mobile device. You will be able to count on your customers seeing exactly what you need them to see to help you make the sale. Users can access your site whenever they need to; they do not need to zoom in or out, and their screen will house your web page without issue. Taking a non-responsive website and turning it into a responsive website is a one-time-job. We can work with your existing frameworks to incorporate responsive web design into your website. If you have multiple websites, we are happy to take on those projects as well. As a responsive website design company in Myrtle Beach, South Carolina, we can fulfill all of your web design needs. Or even help you to sell your products with an responsive eCommerce storefront. Ensuring your website gets found on Google is a priority for all business owners. 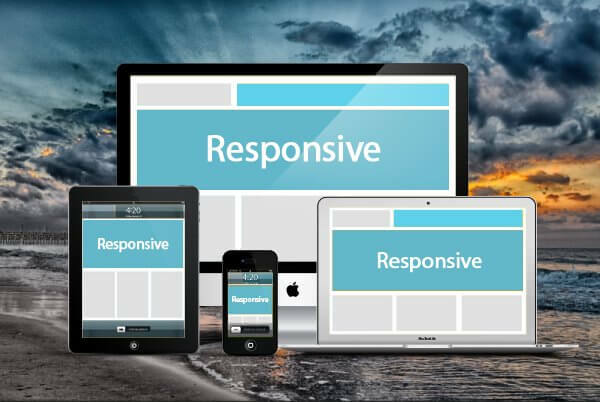 If you neglect to transition your website from non-responsive to responsive, Google may not be able to rank your page as effectively as it would if your website was responsive. In fact, Google rates your page in terms of responsive web design and that can impact your search-ability, overall. It is important to work with a highly skilled developer to ensure your website is responsive and meets the latest requirements from Google. We can help you with that. Whether you agree with the need for responsive web design or not, the internet will weed your website out if you don’t upgrade your site. Stop wasting time and valuable resources trying to direct traffic to a website that is outdated. You want to be found and appear recent and relevant to your clients and customers. Working with Responsive Web Design will ensure that your website provides you the best opportunity to reach and sell to your customers with maximum exposure. Contact us today! Heather D. - Surfside Web Writer Having worked in the fields of adult education, corporate training, and instructional design for over ten years, Heather has had the opportunity to write for organizations all over the world. Heather holds a degree in English and communications, and is completing a Master’s degree in Adult Education. Heather is a great addition to the team.